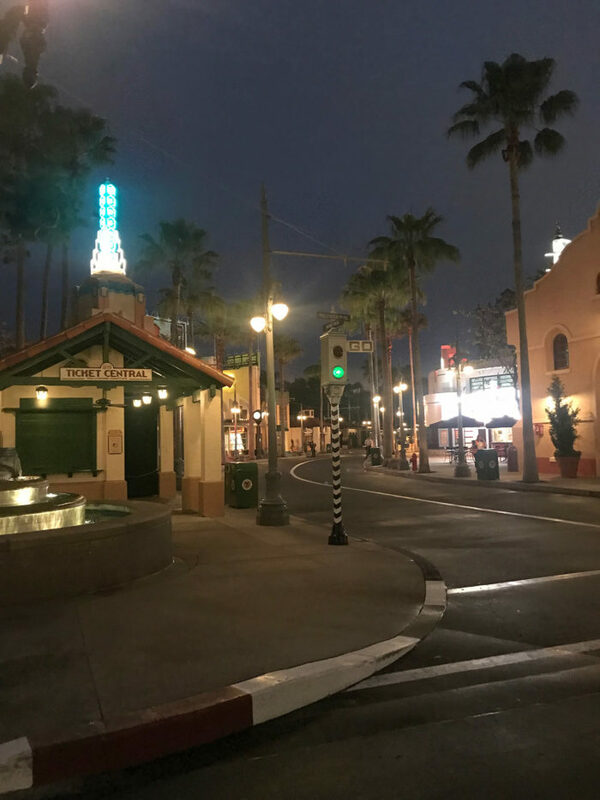 When we were at Disney last week, I shared some early morning Instagram stories of our visits to the Magic Kingdom and Hollywood Studios. What was amazing about those was not how early it was (although one of the days was leaving the house at 6:30 AM), but how EMPTY it was. I got several messages asking how we were doing this! Well, I have to give all the credit to Clint on this one. 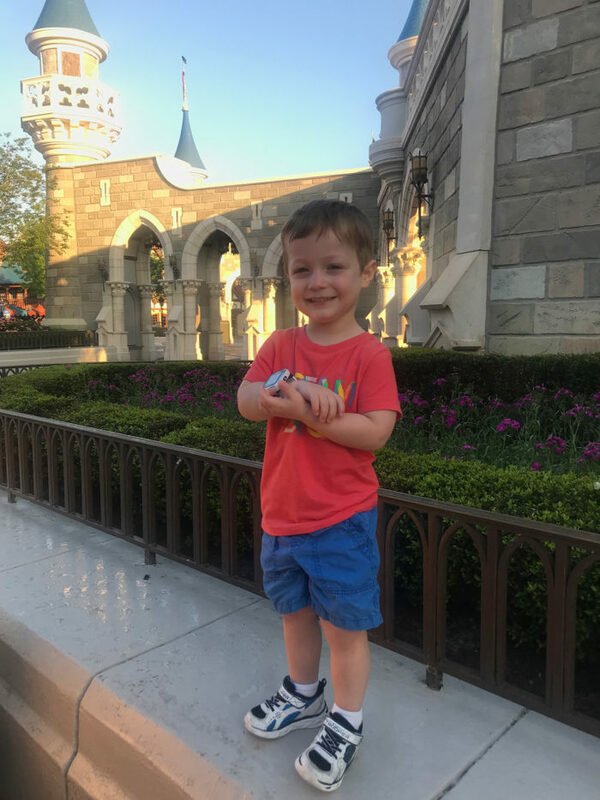 As we were planning to take on the Disney parks at Spring Break, he found this Early Morning Magic option and it was AMAZING! What is Early Morning Magic? 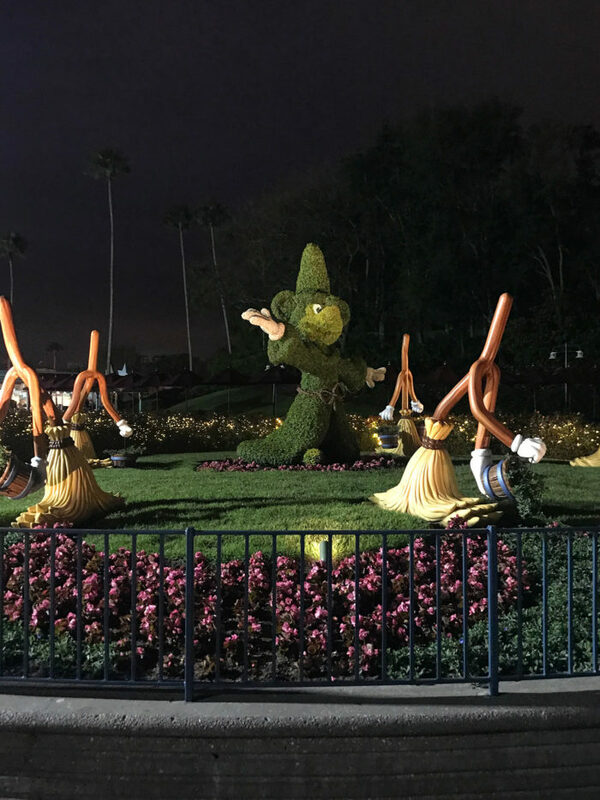 Early Morning Magic (EMM) is an extra option that you can purchase to get entry into Fantasyland at the Magic Kingdom and Toy Story Land at Hollywood Studios. 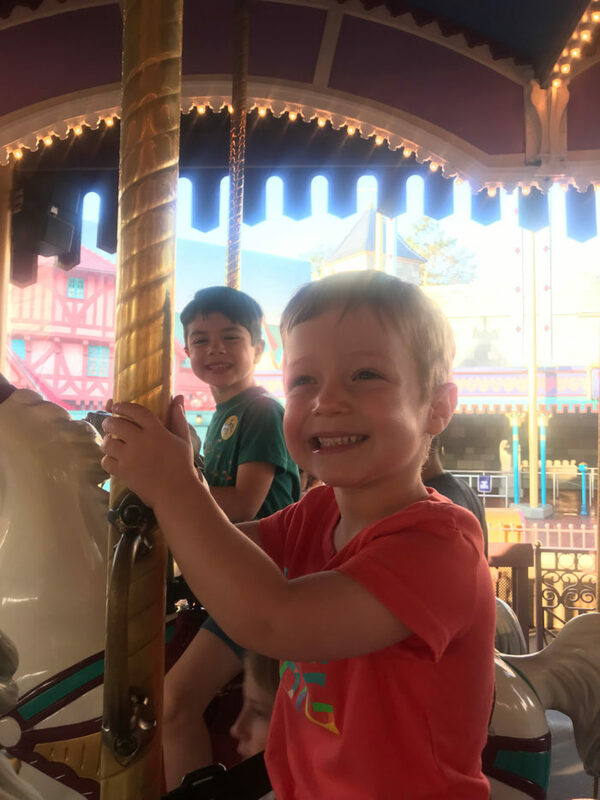 Both packages include early access into the park (as early at 7:00 AM) with unlimited rides in the designated area (7 rides in Fantasyland and 3 rides + character meet & greets at Toy Story Land), as well as breakfast. 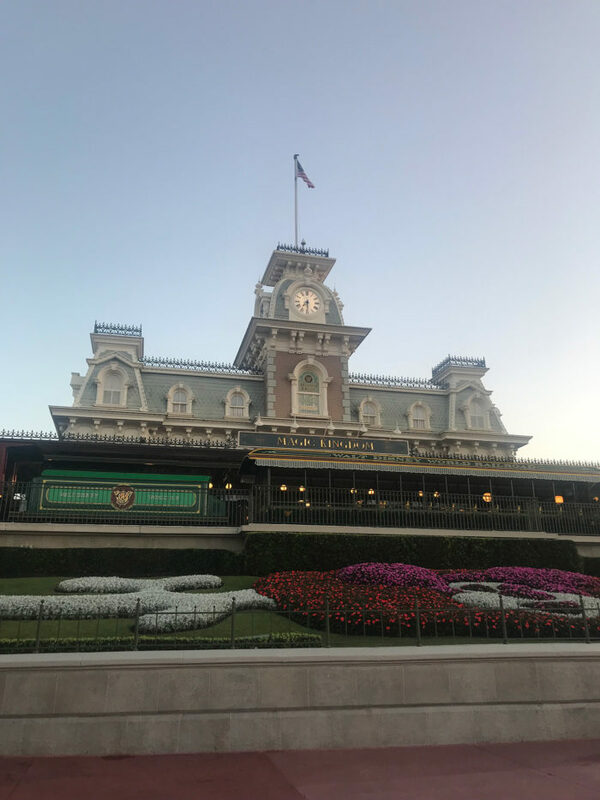 Additionally, there is also Extra Magic Hours, which is what you get when you stay at a Walt Disney World resort hotel. This gets you either into the park early or able to stay late (depending on the schedule). This is free with your park ticket and just staying on property at Disney World, and it’s a great option! 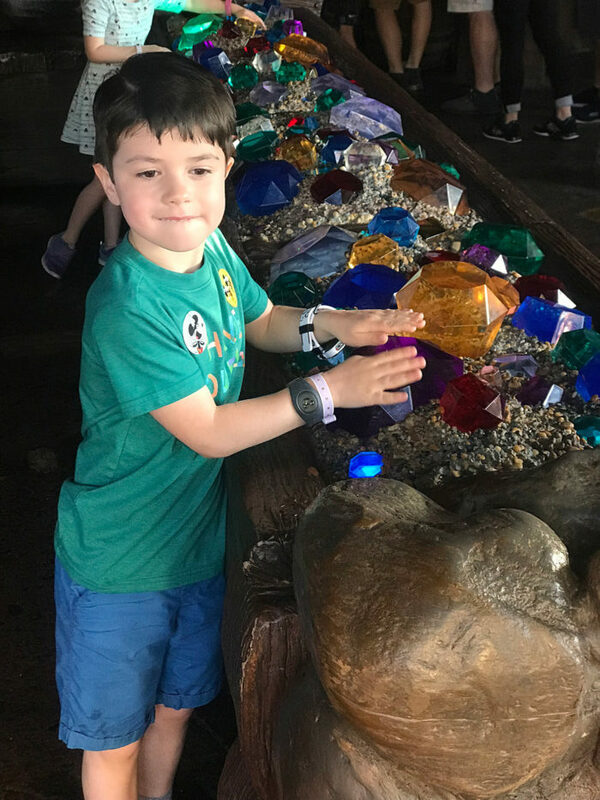 When we’ve done this, we’ve also been able to accomplish a lot in the parks but not quite as much as with Early Morning Magic (and breakfast was not included). We did our Fantasyland day first and when we arrived at the park it was busier than I expected. But you can also make reservations at a few restaurants to be in the park before it opens and make your way to lines first. But for EMM, you check in, get a wristband and there were several checks along the way to make sure you were part of this group. At Fantasyland I felt like we did a ton. We rode the Seven Dwarves Mine Train with Jackson 3 times, and did every other ride at least 2-3 times. It was actually peaceful to walk around, it wasn’t crowded at all and we were really able to enjoy the morning. Breakfast afterward was at Cosmic Rays and was a pretty traditional breakfast with pancakes, eggs, sausage, bacon and lots of snack-options (fruit, yogurt, pastries, etc.) at the buffet bar. The breakfast spot is closed to the public, so it’s nice and quiet in there too! 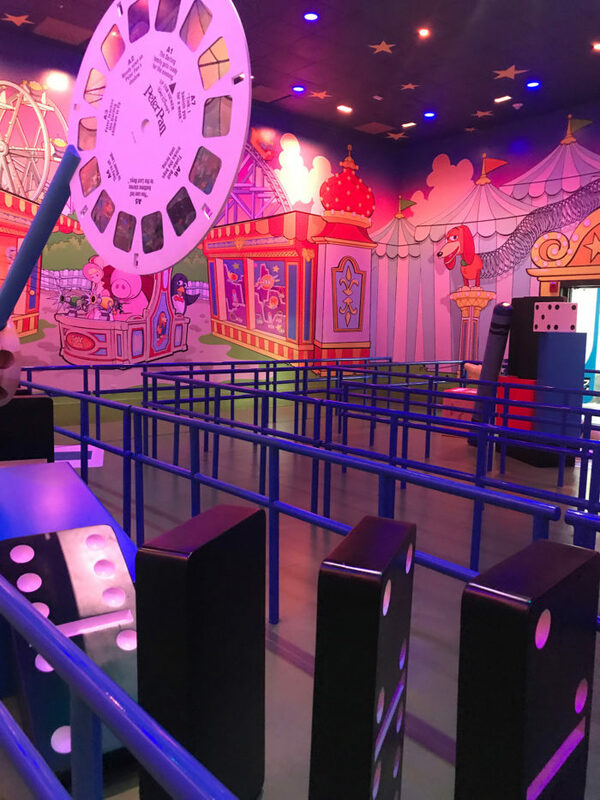 With Toy Story Land being still fairly new, it’s always VERY busy, so we saw this as a great chance to do a lot of things in there. 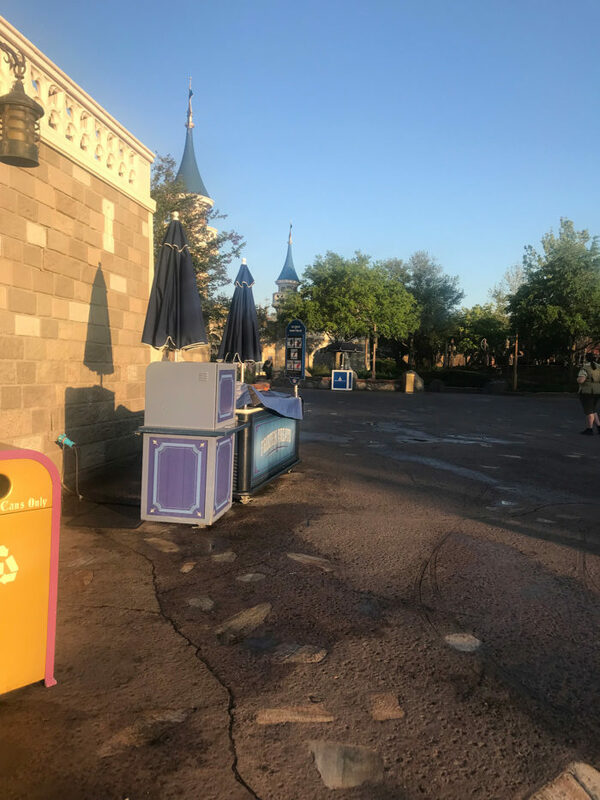 We got into the park at 6:45 AM and it was crazy to see it so empty! 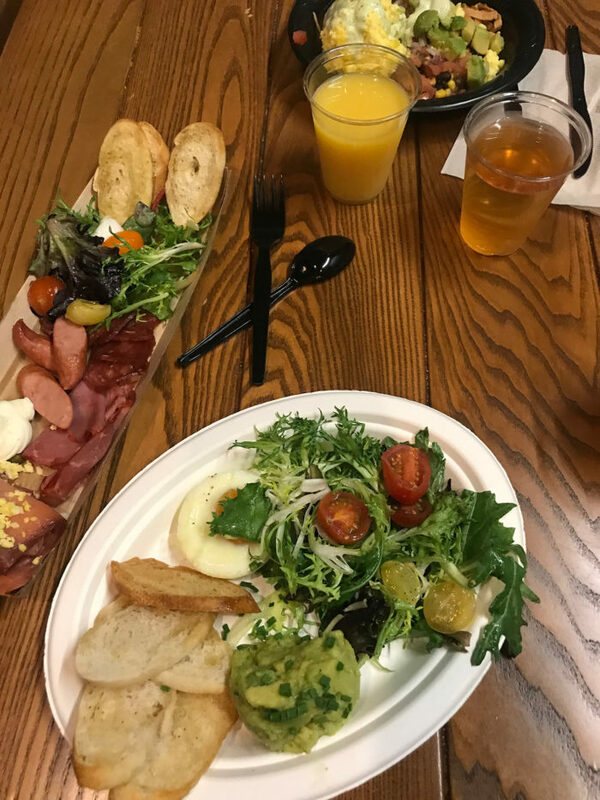 This day had two breakfast sittings, so they asked us to check in at 7 and eat first before heading to rides, which we did. The food on this one was SO good! It was at Backlot Express and I had avocado toast, Clint had chilequelias and the boys both had chicken and cronuts. They also gave us a little charcuterie board and it was all really good. 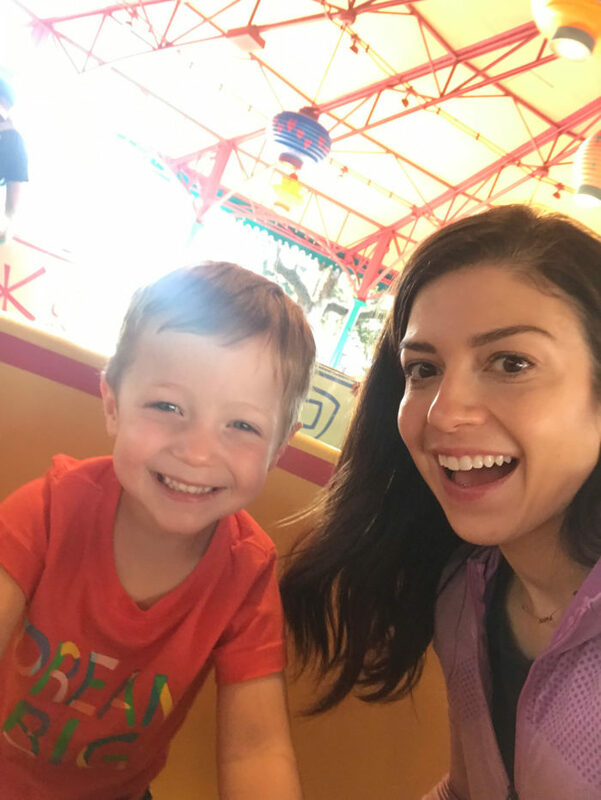 In Toy Story Land we got to do Slinky Dog Dash with Jackson 3 times, Toy Story Mania with the boys 3 times and the Alien Spinning Ride 3 times. 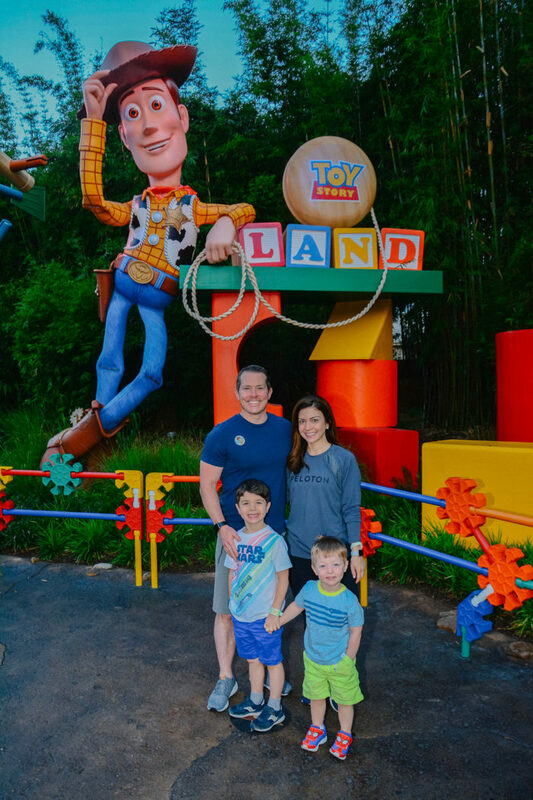 We also did a meet and greet with the characters and got a family photo in front of the entrance to the park with no wait – which is NOT typical! I also loved that water and coffee tables set up throughout the area so you could refresh your coffee and enjoy the time. I cannot tell you how amazing and relaxing this morning was! Toward the end of our time, there was a big thunderstorm rolling in, but we were able to head back to the Backlot Express and sit down for snacks (or a second breakfast!) till 10:00 and wait out the storm. You clearly wouldn’t do this every time, but it was really nice to have the option! And truly, it was pretty unbelievable to walk out of Toy Story Land and see the huge crowd coming in as we were walking out! 100% yes. We’ve already said that we would do this again without a doubt. Especially being on Spring Break, you expect lines to be long, so this gave us a chance to do so many more things and truly enjoy our day! Also, it was honestly really nice that breakfast was included as part of this package. We were able to relax and enjoy our breakfasts on those days and the boys were definitely ready to sit down and eat after all of the ride time we had. This is a ticket in addition to your park ticket, so there’s an extra cost to it. But I think if you’re traveling at a busy time like this, it’s a great idea (because they only sell a limited number of tickets to it), or if you don’t mind waking up early and want to get some stuff done, it’s amazing. For Fantasyland, we knew that our access ended at 9:00, so at 8:55 we made our way over to the entrance to Tomorrowland so we could hop on Buzz Lightyear’s Space Ranger Spin right when it opened. We did exactly that and walked right on the ride. 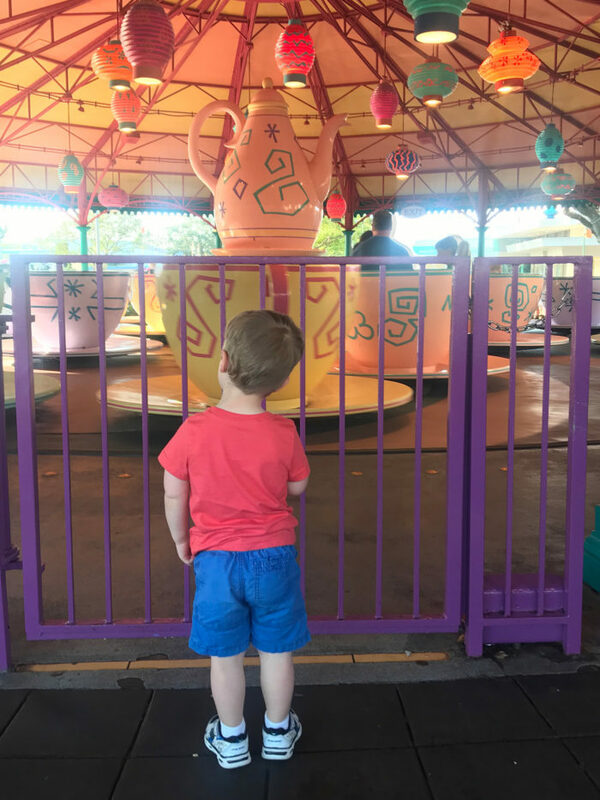 Then by the time we got off the ride, the wait was 40 minutes long – DONE! After that one ride, we went back and had breakfast. In Toy Story Land, our plan was to head out of that area of the park right before 9:00 (when Early Morning Magic ended) and head to sign up for Jedi Training. 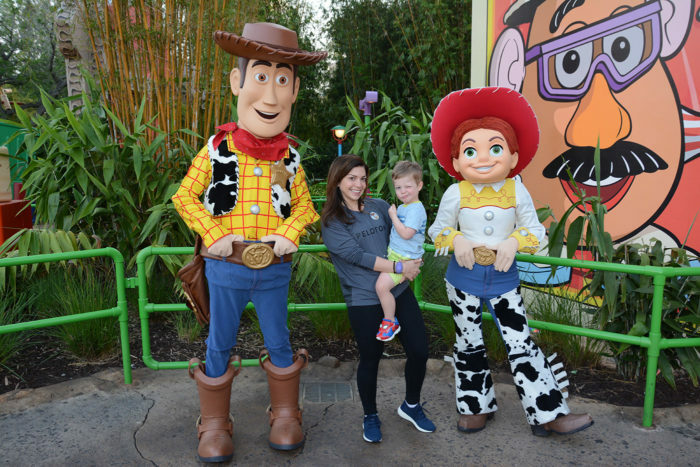 It was truly amazing to see the influx of people into Toy Story Land when we left – by the time we walked out (in literally 2 minutes), the wait for Slinky Dog Dash was 85 minutes! Plan your FastPasses around the rides you know you’ll get done during Early Morning Magic. Instead, use them for rides that are tougher to get on in different areas of the park. Also, I’d recommend planning what you’re going to do when the park opens so you know where you’ll want to end up when your early access wraps up. We did our days back-to-back, but if our schedule had allowed, I would have skipped an early morning wakeup day in between. We usually leave the park around 1-2:00 to head home and nap, but these were still long days when you did them two in a row. A slight sleep-in day in between would have been nice. Not essential, but nice. Please let me know if you all have any Disney-related questions on this or anything else!